I-CHAIN is a blockchain powered insurance platform founded by a team of professionals who would like to bring to the world new advanced insurance solutions. With their different experiences and life paths, they still share a common passion and drive of bringing to the world, a next-generation insurance platform. The CEO Yuriy Mukhin, will be telling us more about this project in this interview. 1) Briefly tell us about yourself? My name is Yuriy Mukhin. 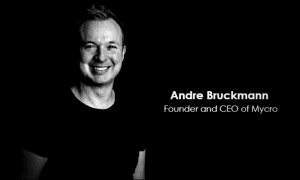 I am the CEO of I-CHAIN, the global insurance platform. 2) As the CEO, how excited are you working on I-CHAIN and what challenges have you faced with the project? I am really excited to work on I-CHAIN as I believe it will change the insurance industry. The only challenge we had was to fulfil our idea of this platform, to make it easy, affordable for everybody. 3) What problem is I-Chain solving and what are the Major services it provides? I-CHAIN is solving several problems. The most important one is affordability. The platform will allow people to run their own insurance business, as well as their own insurance products. For instance, the dentist has our token (the so-called digital share). He can use constructor tool to create the product “1-year tooth filling loss guarantee” on the platform and provide an insurance pool. Further, he can sell or give this product to his patients. It will be very easy to solve such problems using our platform. One token gives the right to bring service to 1000 customers on a platform. I-CHAIN will provide a wide range of services. Insurers will publish their products on the Platform, anyone can buy them and use. Platform will also cover common insurance processes and channels of communication. It will be possible to design additional products using extended processes and channels and place these products on marketplace. Consumers will be able to buy insurance products from the platform through a website, social networks, mobile apps and messengers. No need to go anywhere or invite insurance agents at home. 4) Could you tell us more about Insurance uberization, what does it mean? 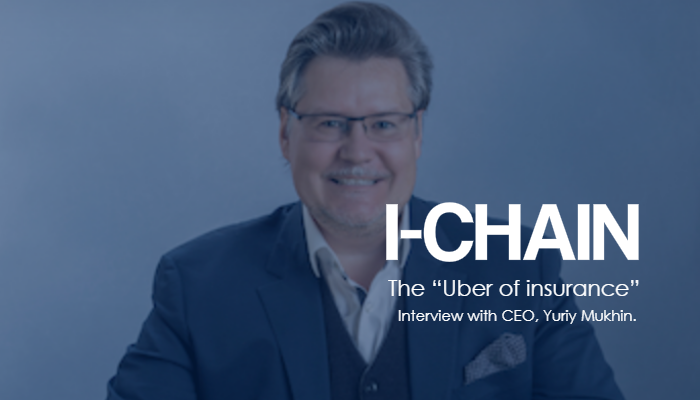 I-CHAIN platform is often called “Uber of insurance” as the main idea is to connect insurers and related businesses with the customers. The insurance expenses will go down. It will be the same as the consumer benefited from Uber platform implementation: taxi services’ prices came down. 5) How big is the blockchain Insurance market, who are your target clients? Blockchain insurance market has no boundaries. We plan to enter the markets all over the world. That is why we call our platform global. 6) Why is a token important for this project and how does it work? I manage the development of the company, our strategic partner, Glass Cube Ltd. is driving investment campaign for platform we develop. I-CHAIN Token sale started on May 17, 2018. Now Utility Tokens, ICHN, are available for purchase via ICO. Its rate is 0.1 ETH. Next year Glass Cube Ltd. company plans to issue security tokens, ICHNS. They will be freely listed on the exchange. Their owners will be able to derive profit while distributing profits from the platform activities. After registration of release Security tokens’ planned cost will be 0.2 ETH. For those who bought bought utility tokens before October 31, 2018 will be provided with an equal quantity of security tokens to encourage our cooperation in the platform crowdfunding. For example, if you are the owner of 10 utility tokens before the end of October, we will give you 10 security tokens immediately after their release registration. Utility token helps to organize own insurance business. So, as soon as platform starts to function value of utility token can grow up, perhaps even up to 10% of “regular” insurance company start-up costs for license and software (for 1000 customers). 7) What is next on the I-Chain Roadmap? In Q4 2018 we plan to launch our first insurance product on I-CHAIN platform. The revolution will start soon. And it is only a beginning of a new insurance era. 8) Do you have any Strategic investors supporting the I-CHAIN project? We have a strategic investor. His name is Pavel Pribylov. Pavel is an experienced and successful businessman with strong vision that smart technology and smart people can and should bring value to society. 9) How Safe is I-CHAIN, how will you manage your Risks? Risks exist everywhere, but we use the best approaches to limit risks available now. I believe that insurance should be affordable for everyone. Read Tokens prospect, developed by our partners, Glass Cube Ltd.
Find us and follow in social media: Facebook, Twitter, Telegram channel.